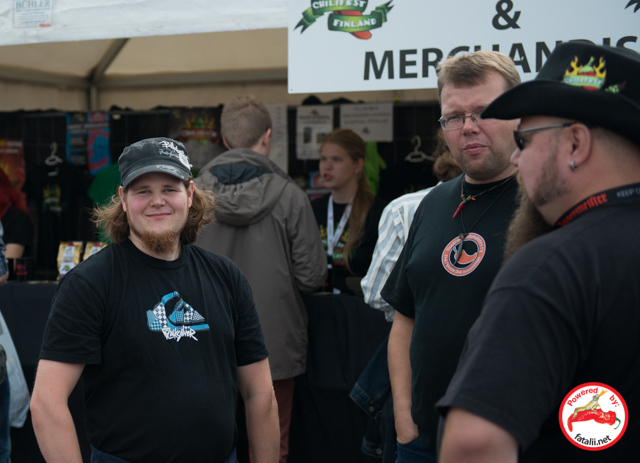 Like last recent years, we were a part of a Chilifest 2013 held at Tampere, Finland. 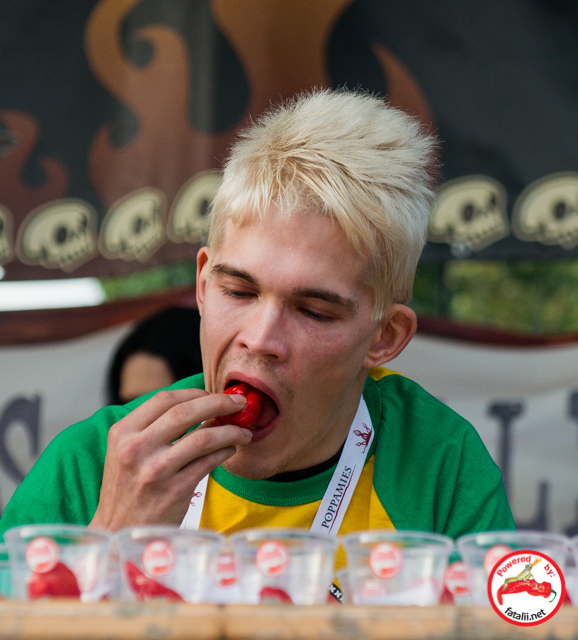 The main event is The Fatalii Gourmet Naga Morich World Championship eating contest. Here are some of the photos I had the time to shoot. A shot from inside our booth. Fellow chileheads enjoying the chilifest. 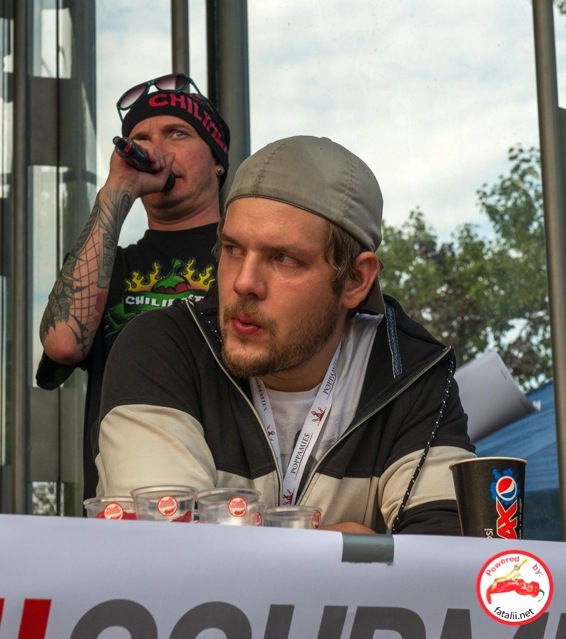 Some people around the booth. 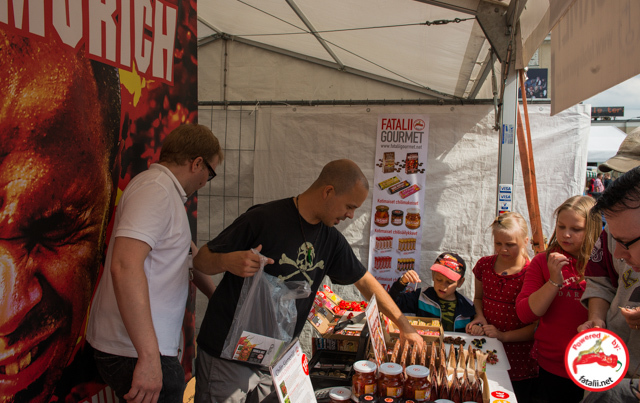 Fatalii Gourmet "Nagaface" selling some goods. 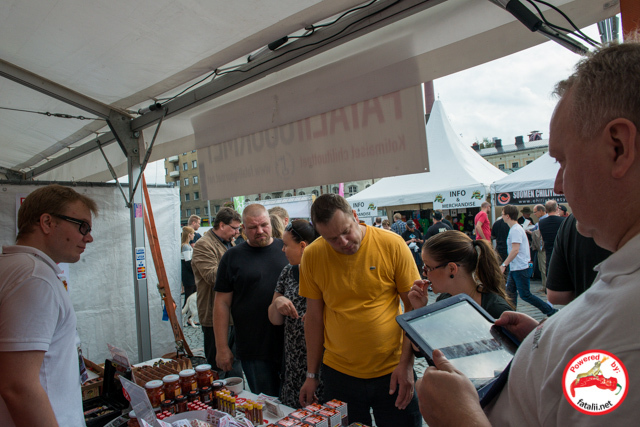 People checking out our product line. 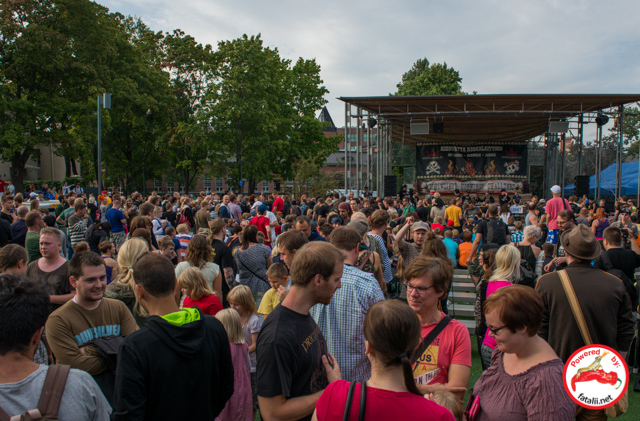 People start to gather to the main event of the Chilifest 2013. 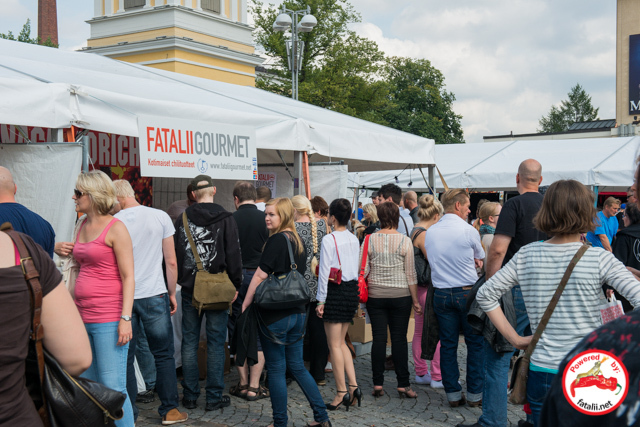 All the competitors of The Fatalii Gourmet Naga Morich World Championship eating contest. Some heat starting to kick in. 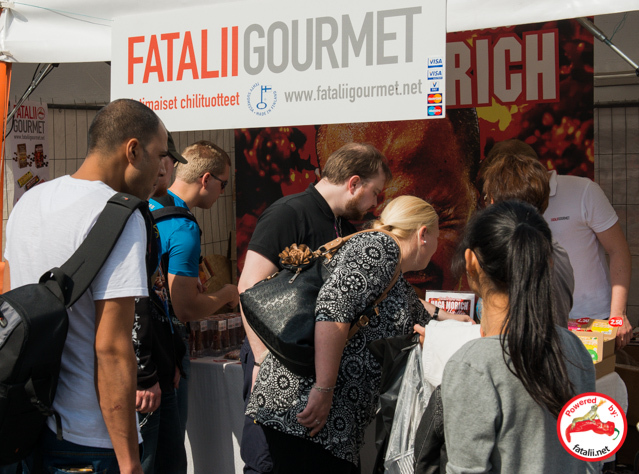 Eating more and more Fatalii Gourmet Naga Morich pods. It's hard to keep your cool when your head feels like it's gonna explode! 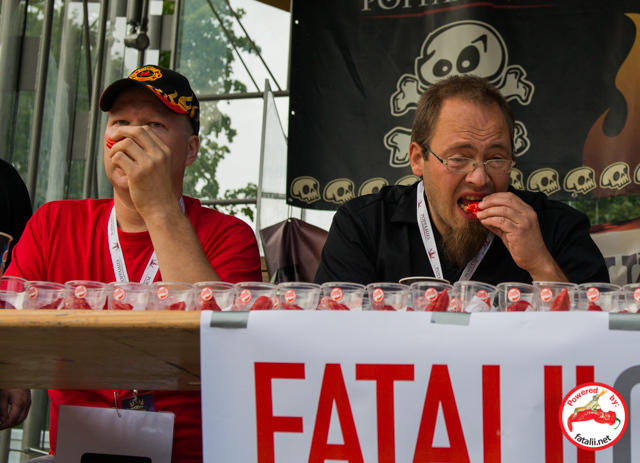 Kalle Gröhn eating more Fatalii Gourmet Naga Morich pods. The burn is starting to be harder to handle. 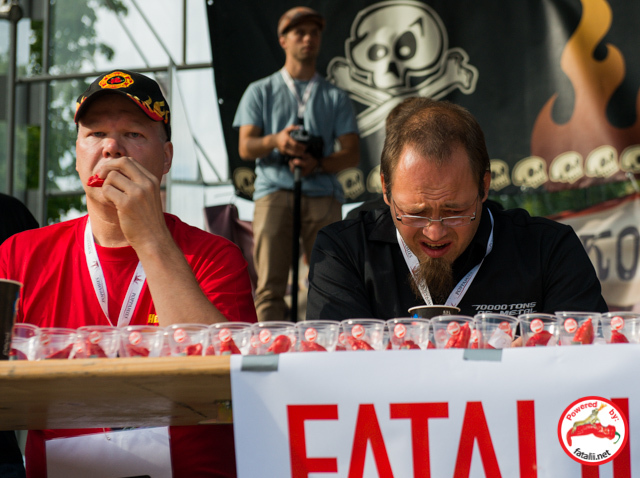 Mika Suhonen still eats the pods like nothing. It's hard to hold your head up at this point... This is much more painful you can imagine. These guys are holding themselves up very well. 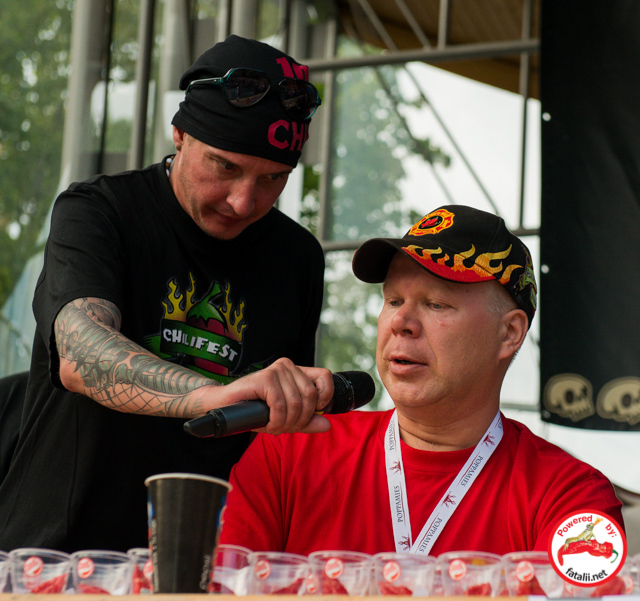 Fatalii Gourmet "Nagaface" And 3rd place competitor Kalle Gröhn, this guy ate a total of 84,9 grams of Fatalii Gourmet Naga Morich pods! 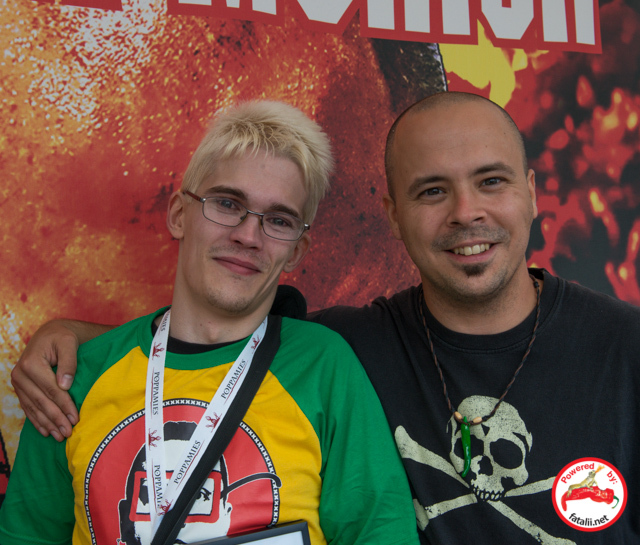 Fatalii Gourmet Naga Morich World Championship winner, Mika Suhonen. He held his pokerface thru the whole competition. 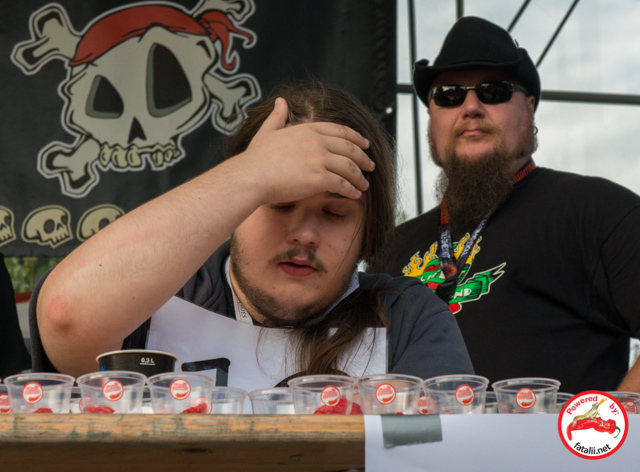 He ate an amazing amount of 109,7 grams of Fatalii Gourmet Naga Morich pods!